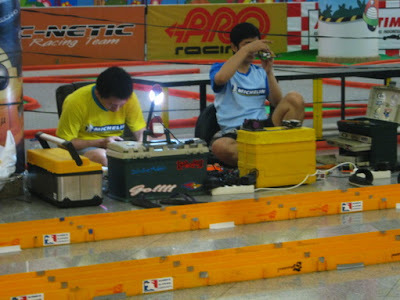 I saw this Tamiya Race at a hobby section in a mall. There's no children there. 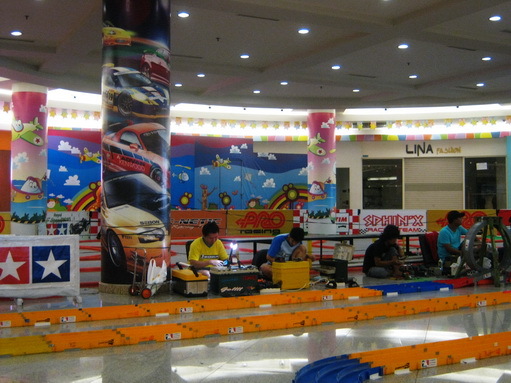 I saw only adults who's busy with their tamiya cars. I couldn't capture any car since it moved very fast. Didn't you know that men are also children when it comes to this kind of toys ? lol ! I agree hubby still has a car collection....... I shd start my barbie collection......... now that I am not little and can pay for it!!! I think they have like this in the Philippines...I haven't seen one here in the US yet...pretty cool! Nice, this is a great hobby! wadduh blognya mba lina lagi nih..
My hubby plays toy trains and has a collection too. Nice hobby, I hubby like digital, all about digital.